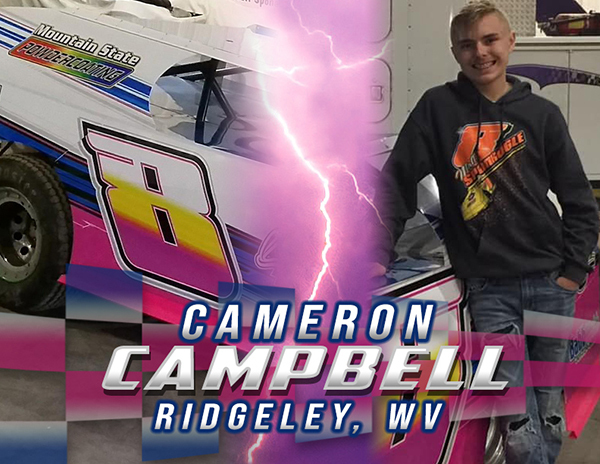 RIDGELEY, WEST VIRGINIA (March 24, 2019) – 16 year-old Cameron Campbell of Ridgeley, West Virginia has unveiled a marketing kit designed by Blakesley Sports Media. Campbell competes in the 602 and E-Mod ranks across Cumberland Raceway (MD), Hagerstown Speedway (MD), and Bedford Speedway (PA). He finished third in the Cumberland Raceway standings as a rookie in 2018.